The jet steam is exhibiting unusual behavior over the U.S., a pattern we've seen become increasingly common in summertime over the past decade. There's a sharp trough of low pressure over the Central U.S., and equally sharp ridges of high pressure over the Western U.S. and East Coast. Since the jet acts as the boundary between cool, Canadian air to the north and warm, subtropical air to the south, this means that hot extremes are penetrating unusually far to the north under the ridges of high pressure, and cold extremes are extending unusually far to the south under the trough of low pressure. The ridge over the Western U.S., though slowly weakening, is still exceptionally intense. This ridge, which on Sunday brought Earth its highest temperatures in a century (129°F or 54°C in Death Valley, California), was responsible for more record-breaking heat on Tuesday. July 2. Most notably, Redding, California hit 116°, just 2° short of their all-time record. Death Valley had a low of 104°, the second hottest night on record since 1920 (the hottest was just last summer!) Numerous daily high temperature records were set in Arizona, California, Nevada, Utah, Montana, Oregon, and Washington. It was the opposite story in the Central U.S., where the southwards-plunging jet stream allowed record cold air to invade Texas. Waco, Texas, hit 58°F this morning (July 3), the coldest temperature ever measured in July in the city. Numerous airports in Texas, Nebraska, Arkansas, Louisiana, Kansas, and Missouri set new daily record low temperatures this morning. 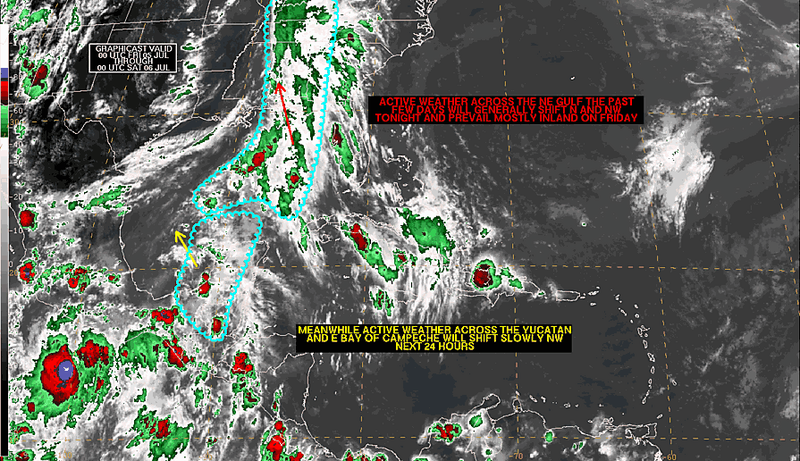 And over the Eastern U.S., the northward-pointing branch of the jet stream is creating a potentially dangerous flooding situation, by pulling a moisture-laden flow of tropical air from the Gulf of Mexico over the Florida Panhandle north-northeastward into the Appalachians. Up to five inches of rain is expected over this region over the next few days, and wunderground's severe weather map is showing flash flood warnings for locations in Florida, Georgia, South Carolina, and North Carolina. Figure 1. Jet stream winds in the upper atmosphere at a pressure level of 300 mb on July 3, 2013. The jet had an unusually extreme configuration for summer, with a sharp trough of low pressure over the Central U.S., and equally sharp ridges of high pressure over the Western U.S. and East Coast. Image from the wunderground jet stream page. Figure 2. Predicted precipitation for the 7-day period ending Wednesday, July 10, 2013. Image credit: NOAA/HPC. 1) The end of May and beginning of June, when the $22 billion Central European floods occurred. A high pressure ridge became stuck over northern Scandanavia, causing all-time May heat records--as high as 87°F--at stations north of the Arctic Circle in Finland. The high pressure ridge blocked low pressure systems from moving north, and a series of two low pressure systems dumped record rains over Austria and Germany, creating the highest floods ever seen on portions of the Danube River. The $22 billion price tag made it the 5th most expensive non-U.S. weather-related disaster in world history. As I discussed in a March 2013 post, "Are atmospheric flow patterns favorable for summer extreme weather increasing? ", research published this year by scientists at the Potsdam Institute for Climate Impact Research (PIK) in German found that extreme summertime jet stream patterns had become twice as common during 2001 - 2012 compared to the previous 22 years. One of these extreme patterns occurred in August 2002, during Central Europe's previous 1-in-100 to 1-in-500 year flood. When the jet stream goes into one of these extreme configurations, it freezes in its tracks for weeks, resulting in an extended period of extreme heat or flooding, depending upon where the high-amplitude part of the jet stream lies. The scientists found that because human-caused global warming is causing the Arctic to heat up more than twice as rapidly as the rest of the planet, a unique resonance pattern capable of causing this behavior was resulting. According to an email I received from German climate scientist Stefan Rahmstorf, one of the co-authors of the study, unusually extreme jet stream amplitudes likely played a role in the May - June Central European flooding event. Yellow means caution: the National Hurricane Center (NHC) has drawn a yellow circle on their Graphical Tropical Weather Outlook around an area of disturbed weather in the Gulf of Mexico. In their 8 am EDT July 2 outlook, NHC gave the region a 10% chance of developing into a tropical depression or tropical storm by Friday. 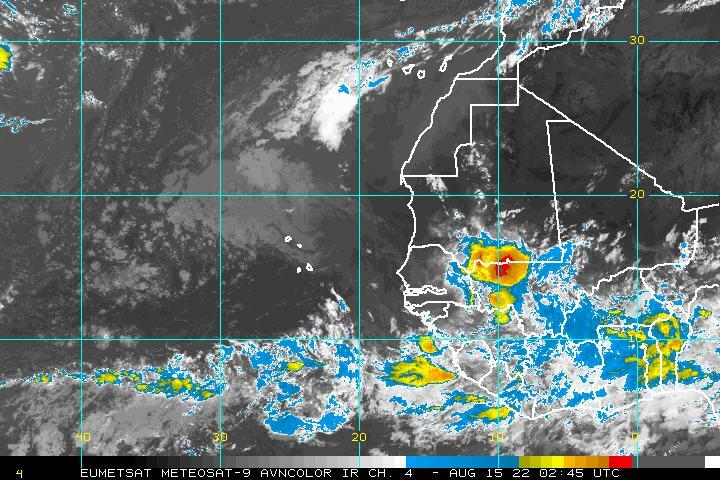 Satellite loops show only minimal heavy thunderstorm activity associated with the disturbance, which is suffering from high wind shear of 20 - 30 knots. Dry air due to the presence of an upper-level trough of low pressure over the Western Gulf of Mexico is also interfering with development. The upper-level trough is expected to weaken and pull to the north late this week, bringing more favorable conditions for development over the Southern Gulf of Mexico's Bay of Campeche by Friday. The atmosphere will moisten and wind shear may fall to the moderate range, 10 - 20 knots. The disturbance should move west to west-northwest, arriving near the Texas/Mexico border region on Monday or Tuesday. None of the reliable forecast models predict the disturbance will develop. A large upper-level cold-cored low pressure system over the middle of the North Atlantic will move to the southwest during the week, and this low is expected to arrive in the Bahamas by Sunday and South Florida by Monday. Although the models do not show that this low will will acquire a surface circulation and develop tropical characteristics, it will be worth watching for development late this week. Back from fireworks at a local area. Pretty good show tonight! The sw gom vorticity growing. Do you mean the blob that's currently headed SE over land in the Yucatan? That's the only thing I see happening in the SW Gulf. It has no support from the GFS what so ever, so will be interesting to see how things pan out and will give us something to possibly watch in the next few days if anyone is interested in that part of the Pacific. my hurricane season outlook isn't in there. Erick is a happy Tropical Storm, looking very healthy. How do you know he isn't mad because he isn't a hurricane? Those are some seriously cold cloud-tops. Pushing -90C, in fact. Erick has shown hints of an eye feature on infrared. If so, rapid intensification could be occurring. The center remains partially exposed to the northeastern edge of the main area of deep convection as a result of moderate east-northeasterly shear. Nevertheless, steady intensification is expected for the next few days as shear is forecast to remain moderate. That loop seems to be at least 2 hours old now. A lot could have changed between now and then. I'm away from my computer so I'm missing all my links to things like this. However, Erick's structure seems to be changing quickly. 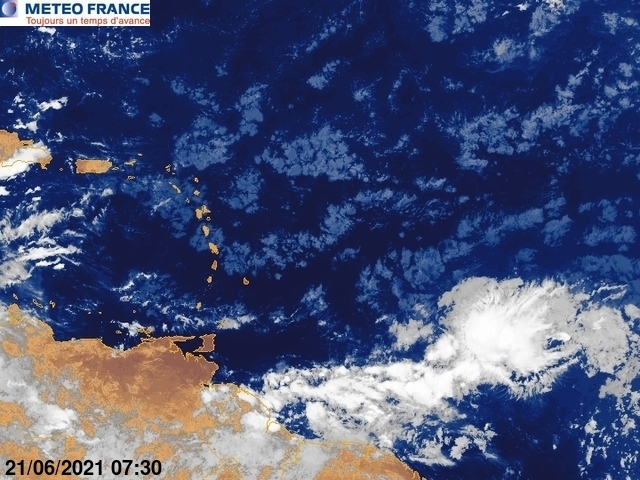 According to the latest advisory from the National Hurricane Center, the low-level center of Erick is located largely northeast of that huge convective mass. They could be off though. Hard to tell at night. Mid-level crap can fool you big time. I know this has been a tilted storm for a while, so it's quite possible that I'm off. Like I said before, I'm away from my normal bookmarks to tell more precisely. Was just a guess. The loop Civicane posted looks to be old and probably what the NHC was using for center placement. Might have changed by then, but I'm probably wrong. Erick is a disorganized mess and highly sheared...with the llc exposed to the ne of the convection blow-up.The higher tstm's are the result of mid level vort-max. Aren't the Cayman islands owned by the UK? Repost for those that missed it. Erick has intensified a bit quicker in the short term than expected, but it shouldn't affect the eventual peak much. It is unlikely I'll be home by the time I normally release my blogs, so I made this one early. Read if you wish. Those may be fighting words to a few bloggers here. 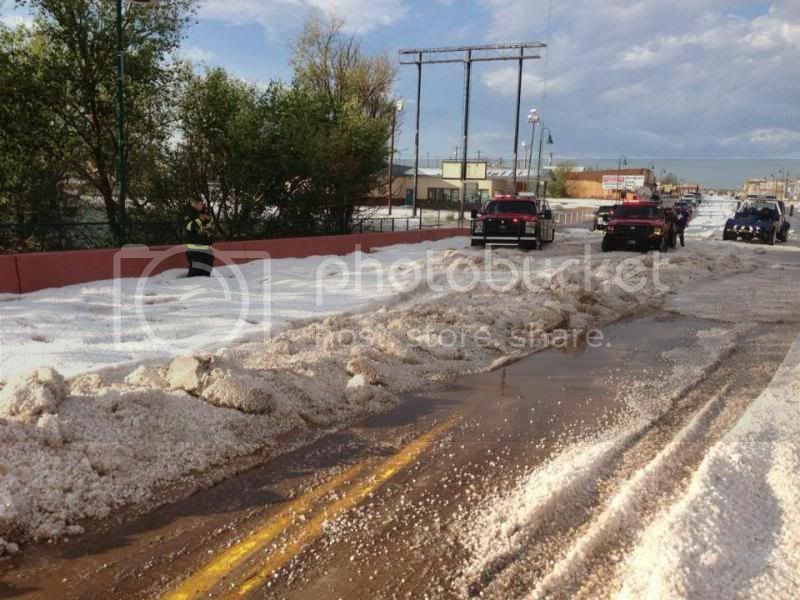 Hail covers the ground 2 ft deep in Santa Rosa NM Weds. CIMSS vort maps actually show a fairly stacked system with the 500mb center being slightly to the north of the 850mb center. The main convection is not to the north of the originally proposed center. The Cayman Islands (/ˈkeɪmən/ or /keɪˈmæn/) are a British Overseas Territory located in the western Caribbean Sea. The territory comprises the three islands of Grand Cayman, Cayman Brac and Little Cayman, located south of Cuba and northwest of Jamaica. The Cayman Islands are considered to be part of the geographic Western Caribbean Zone as well as the Greater Antilles. The territory is a major world offshore financial centre. How strong do you think it is at the moment? With pressures currently low over africa and the combo of a mjo present over there...the easterly waves will be vigorous.Sinking motion is present over the majority of the basin and will leave this waves void of tstms until the west car/bahamas/gulf...if any of the waves survives the track...long term tropical issues could develop. I think 45 mph is a good call, though I wouldn't be surprised if it was slightly stronger. Would really surprise me if Erick's center hasn't moved under the main ball of convection. Shear has decreased to 5-10kts. I believe it's more organized than you think. With pressures currently low over africa and the combo of a mjo present over there...the easterly waves will be vigorous.Sinking motion is present over the majority of the basin and will leave this waves vogue of tstms until the west car/bahamas/gulf...if any of the waves survives the track...long term tropical issues could develop. that is a funny looking high..
Erick may attain hurricane status after all. Yep also a bad looking high for later in year hurricanes could be steered up to southeast coast. That TW in the CATL is a fighter, it went from being completely engulfed in SAL with almost no convection or moisture to this little area of convection even though it is still surrounded by SAL. If the SAL weren't there it would probably be a tropical system at this moment. I am highly confused as to the location of the center of Erick. Just saying. Really think it's farther south than what the NHC has, though. Erick might have a shot at hurricane status the way it's behaving tonight. I'll have to disagree with you this time. The Cayman Islands is doing a lot better than most of the Caribbean, Maybe with the exception of Trinidad and Tobago and The Bahamas. While the unemployment rate in the Cayman Islands was about 9.8% in 2012, It's still better than that of Jamaica (14.2), Puerto Rico (over 13%) and Grenada (over 20%). The debt to GDP ratios in Jamaica, Grenada is more than 100%...It's actually over 140% here in Jamaica. The per capita income PPP in the Cayman Islands is over US$40 000 or well above the Latin American and Caribbean average of US$11 000...the per capita income here in Jamaica is lower than the Latin American and Caribbean average at only US$9100. The PDO has went haywire. CYCLONE DURING THE NEXT 48 HOURS. Just wrote an extremely long blog post on the tropics. Come and check it out! Good night fellow bloggers...I'm off to bed! Good evening to you all!! Has anyone taken a moment to look at the 0z runs yet? Interesting to note changes in the GFS 850vort as compared to the 12z run. Changes relative to what? The Gulf system? May I say and eye and RI. First thing I saw was that the vorticity is supposed to split, with some of the energy moving into the Texas/Mexico area, with the other moving into Louisiana. Because of the vorticity split, or because of the shear? Well...NHC still says 10% i see barely any convection...and the local mets here are saying not gonna happen. I havent checked TWC yet though. I agree wholly with that statement. Regardless of development, it will likely get sheared out as it approaches the coastline. Just looking for general thoughts, not making a statement either way. The GFS has been really flip floppy with this. I never thought it was gonna happen. But if you read my blog, I highlight how I think this system could quickly spin up (not to a tropical cyclone, just an invigoration of the surface low) as it approaches Louisiana. For those who don't want to defer to my blog, it's because the system may starting moving in tandem with the shear vector before it moves inland. From what I gather out of all that, at VERY best, the system might make it into a very weak TD. I will take it though, we need the rain. Ensemble members are keeping it an open wave, though. Either way, we'll take the rain however we can get it at this point. Ouch Kori that hurt.lol thank though. Just came back from watching great 4th of July fireworks show at a local area. No change in strength for both Dalila and Erick from the ATCF update. AS A TROPICAL CYCLONE SLIGHTLY LONGER THAN THE PREVIOUS ADVISORY. PREVIOUS ADVISORY AND IS BASED UPON THE MULTI-MODEL CONSENSUS. FORECAST TRACK IS SIMILAR TO...BUT SOUTH OF...THE PREVIOUS TRACK. MODELS AND THE INTENSITY CONSENSUS. THE WIND RADII HAVE BEEN REVISED BASED ON THE ASCAT DATA. Pressures are falling at the buoy nearest to the convection going off at 25N 89W, but they're still fairly high. In the interim, the convection that was previously seen off the northwestern coast of the Yucatan Peninsula has evaporated. There seems to be additional showers and thunderstorms beginning to ignite in the far southwestern Gulf of Mexico. We'll see if that persists. Most likely, the trough and its associated shear conveyor will stifle any chance of tropical development. I wouldn't expect much of a change tomorrow. TX/LA probably wont get a storm until the time the usually hit. August/September. Most of our hits don't occur this early in the year. Last July storm was Cindy in 2005, and before that, Danny in 1997. I live near Baton Rouge, btw. I live in southeast TX. Erick is showing signs of strengthening; curved bands have developed to the north and east, and the deep convection appears to wrap around the center over the past several hours. Looks like that ULL Doc and Levi mentioned as well as the tropical wave is still trucking west to the Bahamas and Florida. Appears the ULL is ahead of the TW. Don't see any models picking up on it. Lot of moisture around though! Good morning to all,evening Aussie. The wave train is active on the long range GFS. Let's wait and see if in future runs development begins with one of those. AND NORTH AT 5 TO 10 MPH. Good morning mikat! Yes, we may see the CV wave train soon. Will be watching the models to see if there is any predicted development. It would be nice if the mess over the Yucatan would wind up in Texas, but the Panhandle has had enough! Unfortunately, looks like Mother Nature is not of the same mind and Florida/Georgia will get more rain. It sure is. With Cape Verde season right around the corner, there would be big trouble for the Caribbean islands and CONUS as the ridge would steer the storms to those areas. Yes the ridge is becoming more relevant now. Tuesday looking wet in SFL. SLU this ridge is not only frightening, but looks very ominous for the residents of the Caribbean islands. with the hard economic times engulfing the region. none of the islands can do with a hurricane strike at this time. amazing that the gfs a wk ago was smelling out a low near the keys. here in ST lucia not eoh is bein done to sensitise the population of what appears to be a long hot hurricane season. the onus is the carnival season which is about 10 days time. 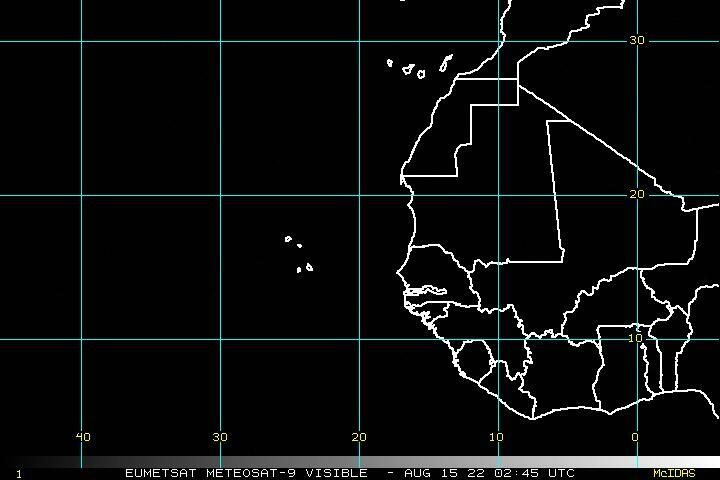 it could be very ironical the wave over Africa now could be a potential threat around the same time as the carnival. Enough with the rain already. Panama City is floating. I've never seen it flooded like it did yesterday and so fast. The rain at times was coming so hard sideways it almost looked like silver fabric shimmering and not rain. Lots of people flooded out of their houses. From Bicentennial Park in Lantana. The bleachers were still there from last night's celebration, so it afforded me an elevated view over the (bridge) construction fence. I've been uploading these pics to PhotoBucket, but I got a notification that I was nearing my "bandwidth limit". Even though I've only used a little over 10% of my storage allotment, it's the number of people viewing the pics (posted on this site) that made the difference. 'Til yesterday, I didn't even know there was a bandwidth limit. I was using PhotoBucket since it was so easy compared to WU - until I discovered the "Upload directly from your phone" link on WU's site, which as it turns out, is just as easy as PB to upload pics. So, to heck with PhotoBucket, I'll be uploading my pics using WU, where the only concern over band width on that site is how fat your favorite musical group has gotten! The island looks BROWN again! 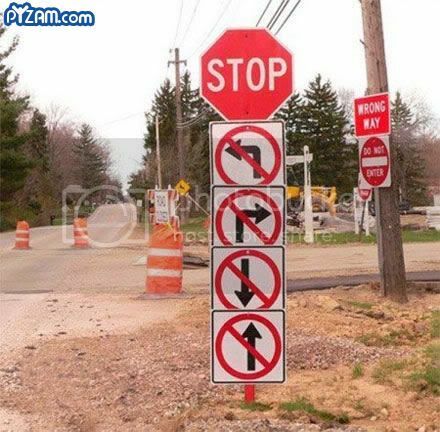 Nothing's happening here. Look at all the pretty colors! I wonder what they all mean...? I posted a Kate Smith vid yesterday, not sure if it was the one you had, I came in late on that. Man, she had The Voice. It was the one from the movie where the song was introduced. I noticed our future POTUS, Ronald Reagan, was in the clip towards the end. 12z Best Track up to 50kts for Erick. Looks like Erick is building a rather large eyewall. Aussie go to bed already? Current positions of moon and sun. The direct upload of pictures does work well here, and it will automatically resize them wihout losing too much detail. I've grown to hate PhotoBucket over the years. 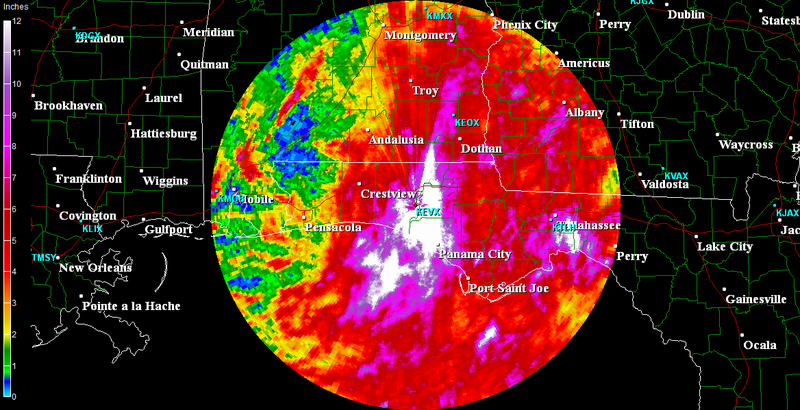 Looks like most of Florida is off the hook today for heavy rain. About the only place that's still at risk in the Panhandle around PCB and SE AL. I don't know if you saw my posts from last evening, but I uploaded a radar loop that showed the actual collapse of the blob about 6:00 last night. Except for losing about half a big tree in the backyard to outflow winds as the blob collaped, I was glad to see that whole thing finally start to die. The only people that are sad are a few wishcasters here, since it looks even less likely that anything will develop in the Gulf now. Got to go find a tree service to haul off the remains of my broken tree. Free firewood for anyone who wants it! G ood fireworks watching weather in DC last night. Whoe.. hopefully it doesn't stick around. If things don't change come mid August we could be in for a long season. Good Morning. When the E-Pac quiets down based on the observed inverse relationship between the two basins this time of the year (when the seasons overlap). 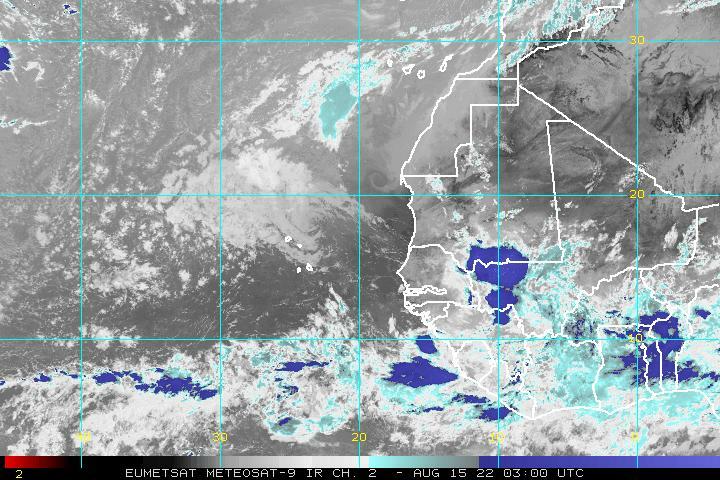 Erick is now dominating the large scale environment in the SW Atlantic as the trof lifts out. 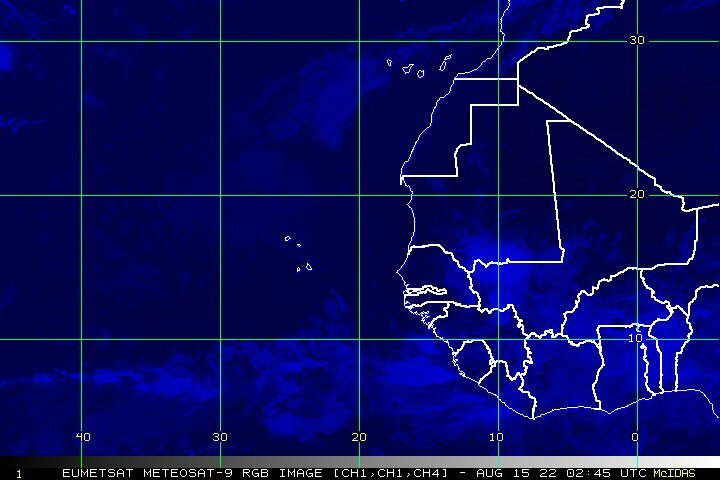 I would not expect any significant Atlantic storms for several weeks. I am not holding my breath on this one but we will see what happens. Everyone in that video was a big star or character actor at the studio. It is just that no one would recognize them today. The upper low feature is looking better. Good morning, Mike. Very tropical looking picture to start the day. I'm assuming Dexter must be out hunting crabs somewhere. I noticed the popularity of the morning pic depends greatly on whether or not Dex is in it! I tried to get him to pose on top of the bleacher, but he would have nothing to do with that, much preferring to sniff about for treats left by last night's throng. Sorry to learn of your tree's misfortune, but glad to know The Blob petered out. I was too tired and stuffed to do anything last night but hit the sack. The chef for Tapa's restaurant lives next door, and he treated us with a long list of savory and delicious delights from about 5-9pm. I was out like a light by 10:15. The State Oceanic Administration said an area larger than the state of Connecticut had been affected by the mat of “sea lettuce,” as it is known in Chinese, which is generally harmless to humans but chokes off marine life and invariably chases away tourists as it begins to rot. For now, beachgoers appeared to be amused by the outbreak, at least according to the Chinese media, which in recent days has featured startling images of swimmers lounging on bright green beds of algae, tossing it around with glee or piling it atop of one another as if it were sand. Local officials, however, are not amused. Last month they declared a “large-scale algae disaster,” dispatching hundreds of boats and bulldozers to clean up the waters off Qingdao, a former German concession in Shandong Province that is famous for its beer and beaches. 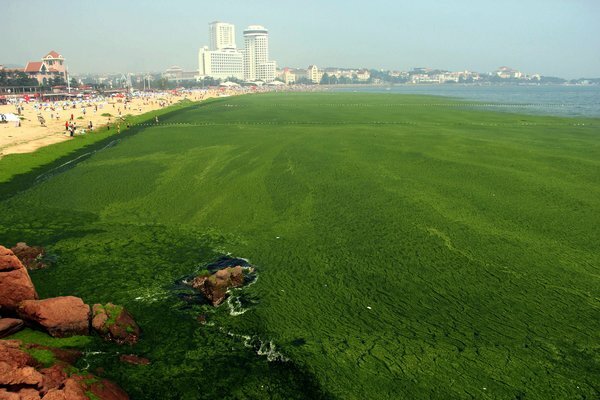 As of Monday, workers and volunteers had cleared about 19,800 tons of the algae, according to the Qingdao government. While valued for its nutrition — or as an ingredient in fertilizers and biomass energy production — algae in large quantities can prove dangerous as it decomposes, producing toxic hydrogen sulfide gas. It also smells like rotting eggs. Yep..I feel like I have a cannon aimed at me. Good Morning to All..Hope evryone had a safe and enjoyable 4th.. This mess in th GOM isn't going anywhere fast..
Be it large or small in the coming days..Getting t'storms now..
Was dry and humid yesterday at my location with just a brief early morning sprinkle to start the day..
As evening set in fireworks were all over.. I'm glad they had their fun after all.. Still a mess out there..
Hit and miss showers at the beach.. If trends continue I wont be surprised to see a invest up soon. 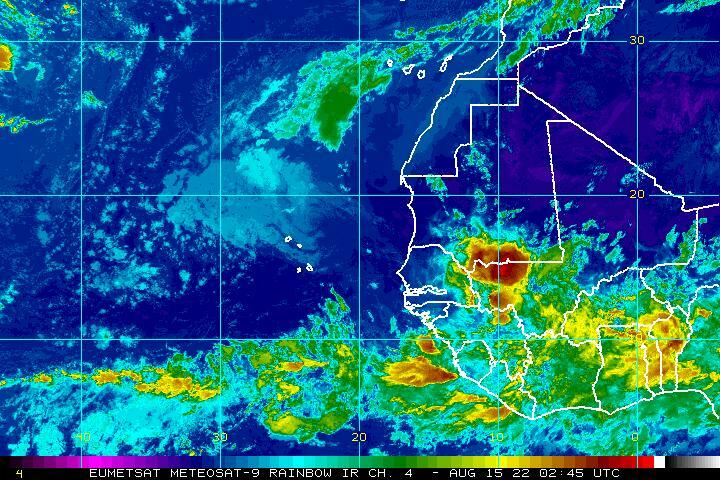 ULL in the Atlantic is becoming more organized. Some vorticity at the mid-levels but nothing at the lower levels yet............Have to keep an eye over the next 24-48 on the mid-level to see if the vort increases and takes a shot at developing a lower level circulation by the time it reaches the Bahamas and Florida. That comment probably flew over half the bloggers heads here. This is SST for July 2nd.. I'm wondering how much this mess in the GOM will lower those values and be borderline for development.. This mess has a few more days I'm thinking..
Not even close to invest status.......It is not a persistent lower level/surface disturbance; purely an upper level low at the moment. If it works down to the surface on Monday, and that coincides with low sheer and an extra burst of heat from the Gulf Stream, we could see something try to spin up. By that time, it would not have time to develop much further before it reached South Florida. Much too soon to assume that it would become an invest over the next 48 hours. Look at this pattern. Any feature in the Atlantic would most likely more west toward Florida, whether it develops or not. Watch for any ULL which may merge with a tropical wave. What I do see is an ULL moving W, a tropical wave moving W, a ULH moving W, the Upper level low NW of the tropical wave and the upper level high on top of the tropical wave and all moving W.